Travelling in Tripura, the land of sown Flags. The name being screamed out sounded so familiar. It was mine, but not the one by which I am generally known. It was the official one on my passport and other documents. Having just checked in, I was moving towards the security gate when I first heard that. 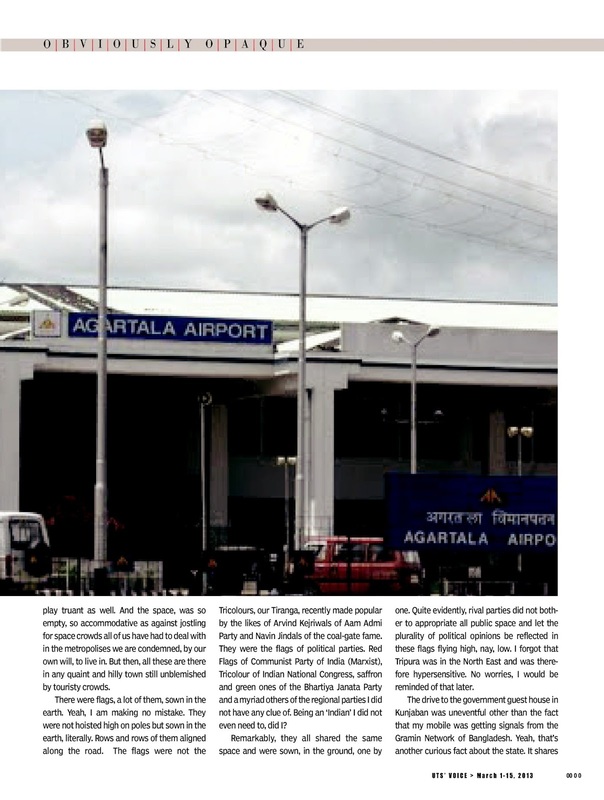 A bit perplexed at being called out at Agartala airport, of all places, I looked back. There she was, an Air India staffer. You have a lighter in your checked in baggage sir, she asked me a bit apologetically. You will have to throw it out, she continued without waiting for my answer. But I can carry a single lighter even on my person almost across the world, I asked, still perplexed. Yes sir, but sorry sir, not here sir, was what I got in a very incoherent reply. This is a hyper sensitive airport sir, North East sir. There I was, rather we are as a nation, treating a part of our own country as an outpost to look out for all that can threaten the nation, an innocuous cigarette lighter included. I was taken back to the check in counter to retrieve the lighter and throw it away. I did the same, unsure though, if I was feeling even a bit safer than I was earlier. But then, ‘sensitivity’ in governmental parlance, has its costs. Five days before this ‘throw your lighter away’ request, I had found myself staring into the vast expanse of unending green from the windowpanes of the descending plane. From that height, and distance, the city of Agartala looked beautiful and quite at ease with its mofussil looks. It had a rustic charm of being stuck in time without being held hostage to the tyrannies of the old order, but then, that I was to discover later. Let me confess, though, that the view was not even half of what I had been made to expect by the brochures of Incredible India campaign. It did, definitely, not look like the skyline of the Paradise Unexplored that the tourism department tried to hard sell through its myriad packages. But then, how many times has one found the Indian state telling the truth when it comes to the North East, I thought. 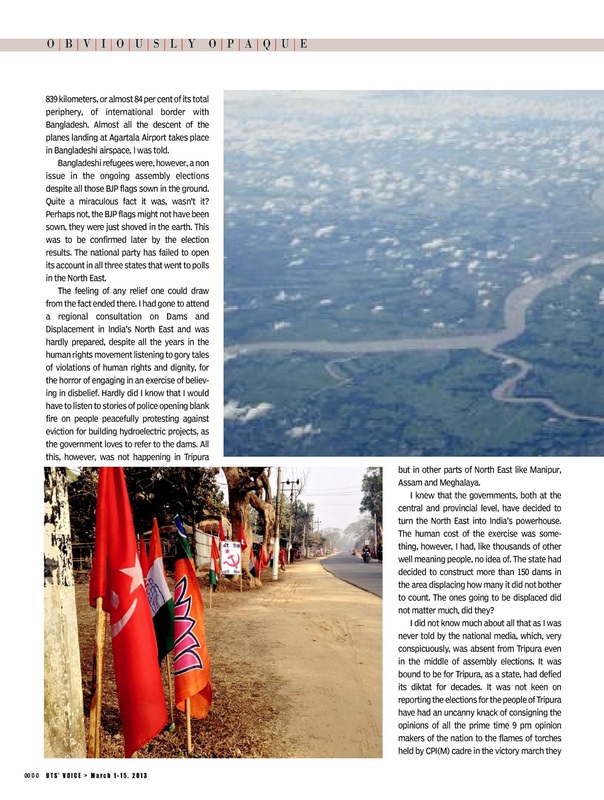 Or perhaps, it was merely about Tripura and not the whole North East whose skyline could still be truly of a paradise unexplored, I corrected myself. Once out of the airport building, I stood corrected. It really was a paradise, explored or unexplored did not matter. The air was so fresh, so unpolluted. The sun so benevolent, though I later found out that it could actually play truant as well. And the space, was so empty, so accommodative as against jostling for space crowds all of us have had to deal with in the metropolises we are condemned, by our own will, to live in. But then, all these are there in any quaint and hilly town still unblemished by touristy crowds. There were flags, a lot of them, sown in the earth. Yeah, I am making no mistake. They were not hoisted high on poles but sown in the earth, literally. Rows and rows of them aligned along the road. The flags were not the Tricolours, our Tiranga, recently made popular by the likes of Arvind Kejriwals of Aam Admi Party and Navin Jindals of the coal-gate fame. They were the flags of political parties. Red Flags of Communist Party of India (Marxist), Tricolour of Indian National Congress, saffron and green ones of the Bhartiya Janata Party and a myriad others of the regional parties I did not have any clue of. Being an ‘Indian’ I did not even need to, did I? Remarkably, they all shared the same space and were sown, in the ground, one by one. Quite evidently, rival parties did not bother to appropriate all public space and let the plurality of political opinions be reflected in these flags flying high, nay, low. I forgot that Tripura was in the North East and was therefore hypersensitive. No worries, I would be reminded of that later. The drive to the government guest house in Kunjaban was uneventful other than the fact that my mobile was getting signals from the Gramin Network of Bangladesh. Yeah, that’s another curious fact about the state. It shares 839 kilometers, or almost 84 per cent of its total periphery, of international border with Bangladesh. 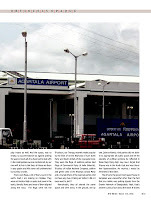 Almost all the descent of the planes landing at Agartala Airport takes place in Bangladeshi airspace, I was told. Bangladeshi refugees were, however, a non issue in the ongoing assembly elections despite all those BJP flags sown in the ground. Quite a miraculous fact it was, wasn’t it? Perhaps not, the BJP flags might not have been sown, they were just shoved in the earth. This was to be confirmed later by the election results. The national party has failed to open its account in all three states that went to polls in the North East. The feeling of any relief one could draw from the fact ended there. I had gone to attend a regional consultation on Dams and Displacement in India’s North East and was hardly prepared, despite all the years in the human rights movement listening to gory tales of violations of human rights and dignity, for the horror of engaging in an exercise of believing in disbelief. Hardly did I know that I would have to listen to stories of police opening blank fire on people peacefully protesting against eviction for building hydroelectric projects, as the government loves to refer to the dams. All this, however, was not happening in Tripura but in other parts of North East like Manipur, Assam and Meghalaya. I knew that the governments, both at the central and provincial level, have decided to turn the North East into India’s powerhouse. The human cost of the exercise was something, however, I had, like thousands of other well meaning people, no idea of. The state had decided to construct more than 150 dams in the area displacing how many it did not bother to count. The ones going to be displaced did not matter much, did they? I did not know much about all that as I was never told by the national media, which, very conspicuously, was absent from Tripura even in the middle of an assembly elections. It was bound to be for Tripura, as a state, had defied its diktat for decades. It was not keen on reporting the elections for the people of Tripura have had an uncanny knack of consigning the opinions of all the prime time 9 pm opinion makers of the nation to the flames of torches held by CPI(M) cadre in the victory march they would bring out year after year. No, I definitely do not mean that everything was all right in Tripura. It too has been adopting the same path of development that believes in massive exploitation of resources. 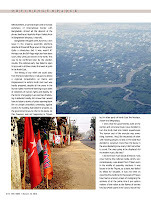 I had seen enough of evidence for that in the 160 kilometer long road drive on NH 44. 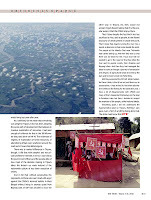 The evidences of neglect, of exploitation of forest resources, of abandoning tribals were scattered around the road and in towns like Bishramgunj. There was a marked difference in Tripura, though. It did that with peoples’ and not private profiteers’ interests in mind. I was told by the government officers and the people alike of how most of the decision making in Tripura takes the bottom up route instead of the nationwide culture of top down execution of orders. And it did that without persecuting the opponents. All those who went mad with anger against the CPI(M)’s Harmad Vahinis in West Bengal without being in anyway upset from Bajrang Dals of BJP had decided to look the other way in Tripura. No, they would not accept, forget disseminating, that it is the popular support that the CPI(M) enjoys there. That it does that despite the fact that it too has sacrificed a river, and its people, to the flawed discourse of development is beside the point. That it does that despite turning the river into a tunnel, a dead one on that is also beside the point. The people at the Mandir Ghat near Tirthmukh had rushed seeing us. And then they told us that there was no diesel for the 2 hour boat ride we needed to go to the reservoir that had killed the river and its people mostly from Chakma and Reyang tribes. And then they had managed the diesel to take us through a journey of devastation and despair, of agricultural lands drowned by the dam and farmers turned into fisherfolks. Still they supported the CPI (M). What matters, for them I think, is that it has not sold them out to corporations. It has strived to find them alternative livelihood like fishing for the lands they lost. 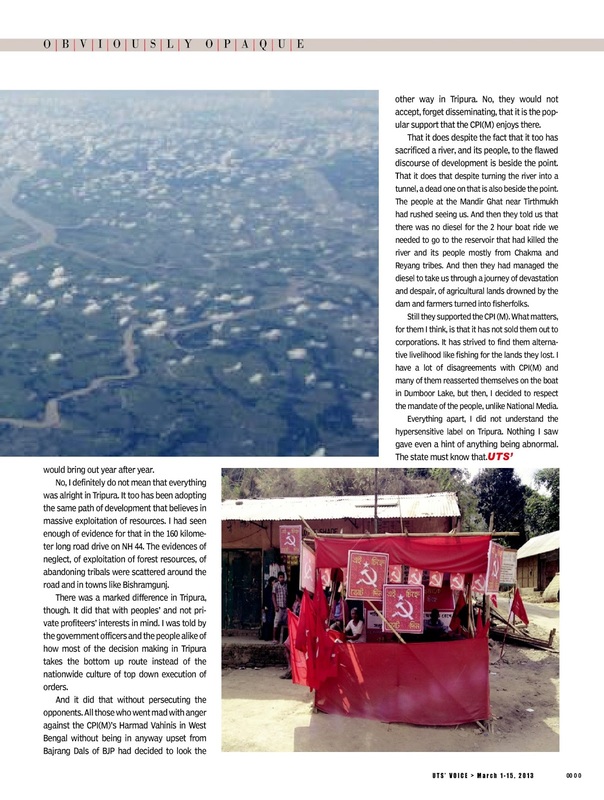 I have a lot of disagreements with CPI(M) and many of them reasserted themselves on the boat in Dumboor Lake, but then, I decided to respect the mandate of the people, unlike National Media. 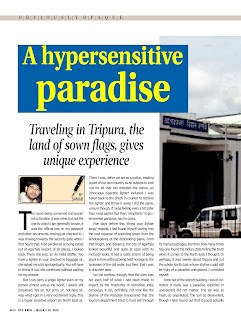 Everything apart, I did not understand the hypersensitive label on Tripura. Nothing I saw gave even a hint of anything being abnormal. The state seems to have kept the reasons behind this tag rather close to its chest, provided it has one.